Mechanical engineers are the brains who design products for various industries. They are the ones who come up with unique concepts and transform ideas into functionality. Their unique designs for products are capable of shaping the country’s economy. But delivering designs specific to clients’ requirements is not easy. It requires skills and years of experience to achieve precision and quality in work. If you don’t have skilled manpower, or adequate resources, you can take help of mechanical engineer recruitment agencies sprouted across Australia for hiring skills. Or, use these four easy steps to hire mechanical engineers on contract. Before jumping on hiring mechanical engineers on contract, it is necessary to study your project thoroughly. This will help you in identifying the kind of specialization required for the project since some projects need specific skills. If you don’t have the expertise in-house to handle the project, the best solution is to hire skills. Once you have defined your needs and required skills, scout for the best skills in the industry that can deliver results in time as well as in a cost-effective manner. 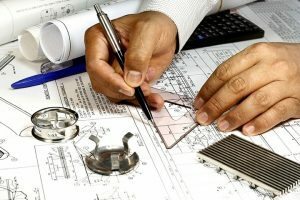 When you start searching for mechanical engineers, you will find several vendors offering mechanical drafting services. Each one of them will project themselves as the best hands experienced of handling your project. But before believing in their claims, check what sorts of skills they have. Ask whether they are comfortable in converting paper-based designs into CAD files, or conceptual sketches to 2D drafts. You may also need to ask if they can convert 2D CAD drafts into 3D models. When you are thoroughly satisfied about the vendor’s skills, then sign a contract. Every few mechanical drafting service providers offer training to their clients. The others avoid it out of fear of losing their business. As you cannot run after them every time you need to modify the design in the future, it’s better to become self-reliant. Whether you need to do minor or major changes, you have to be capable of doing it on your own. Since you have already paid for the drafting services, the vendor shouldn’t have any objection in training your people on using tools as per your business needs. Asking for clients’ testimonials is the best way to judge the skills of service providers. Since vendors do expect this request from clients, they are ready with such written statements. But don’t select them by reading claims written by someone. Instead, validate them by visiting their clients and observing their work. This way, you won’t have to regret later. If you want to work with honest and experienced people in the field of mechanical engineering, contact Zeal CAD Services. This engineering firm has brick-and-mortar office in major cities of Australia as well as in Toledo, Ohio, USA. You can blindly hire mechanical engineers from us and rest assured of quality design in fast turnaround time and at affordable price. Do You Know the Origin of 3D CAD Modeling? Outsourcing is a proficient way of working and growing your business in a hassle-free manner. A CAD modeling software has been used in manufacturing, graphics, and other industries since long. Development of any engineering product, be it for individuals’ or companies’ use revolves around CAD. Why CAD Is Useful than Manual Drafting?